(GIN)—Airline industry and ministry officials attending Aviation Festival Africa and Airports Show Africa heard some good news and some not so good news. First, according to the International Air Traffic Transport Association (IATA), the top 10 fastest growing world markets for air travel over the next 20 years will be in Africa. The top 10 fastest growing markets are: Benin, Central African Republic, Guinea, Madagascar, Mali, Rwanda, Sierra Leone, Togo, Uganda and Zambia. 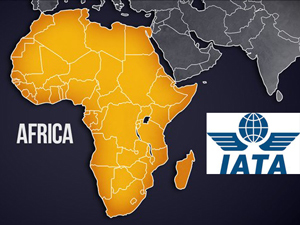 The bad news, IATA warned, is that the Africa airline industry continues to be burdened by high taxes, having to pay fuel prices higher than the global average, competition from the Gulf, resulting in continued financial losses. The big three Gulf carriers—Qatar Airways, Emirates and Etihad, as well as Turkish airlines have all grown their presence in the African market with a large number of aircraft on order and with plans to further develop African routes. There is also a potential threat to African carriers from Chinese carriers. Without large and successful hubs, African carriers will be unable to compete with the big foreign carriers, IATA warned. Currently there are three African hubs, Addis Ababa, Johannesburg and Nairobi, all of which could face the problem of being bypassed by foreign competitors operating on the continent. Another constraint on airline carrier growth particularly low cost carriers, is a high proportion of ticket sales made in cash. With the absence of alternate payment mechanisms, airlines must rely on agents that cut into their margins. According to IATA’s 2017 outlook for the global industry, African airlines are expected to lose $100 million, about the same as last year. North American airlines, by contrast, as a group generated half of worldwide profits, while carriers in Europe, Asia, Latin America, and the Middle East were also profitable. Currently, only South African Airways, Ethiopian Airlines, Egypt Air, Moroccan Royal Air Maroc and Cape Verde’s TACV airline have the right to fly passengers in and out of the United States.